The picturesque East Lakeland valley of Longsleddale, commences north of Kendal at Garnett Bridge, it is six miles long and three miles wide and is bounded to the west by Kentmere Pike and Shipman Knotts, which forms an arm of the Kentmere Horseshoe and to the east by Sleddale Fell which summits are Grey Crag and Tarn Crag. 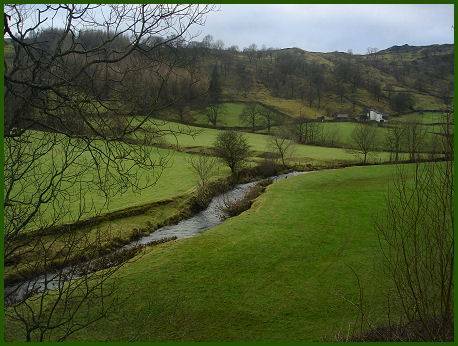 The river Sprint finds its source on the slopes of Harter Fell and Branstree, and flows south through the valley before joining the river Kent to the north of the town of Kendal . 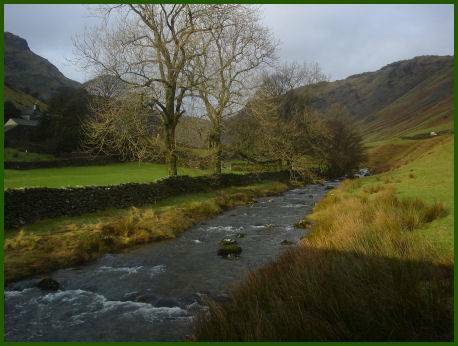 In the medieval era Longsleddale formed part of an ancient travelling and trading route that linked a number of the early abbeys and religious centres, including Shap Abbey. Yewbarrow Hall, once referred to as Ubarrow, is the oldest building in the valley, being constructed in 1450 by the de Leybourne family. The building originally had a pele tower and has walls that are six feet thick. Towards the head of Longsleddale the scenery grows progressively more narrow, rocky and rugged. 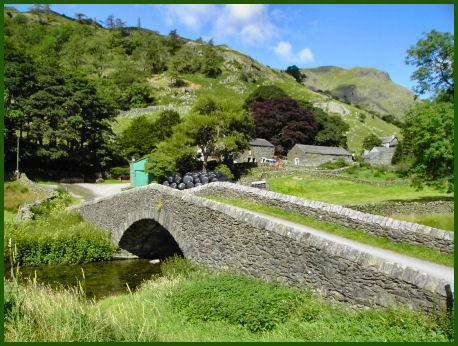 The small remote village of Sadgill stands at the head of the dale, at the terminus of the road. The farm at Sadgill Bridge serves as a mountain rescue post. 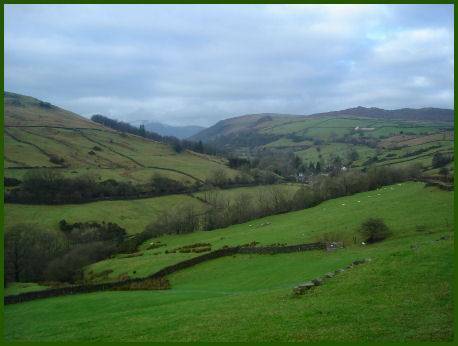 'Sad' derives from the Old Norse saetr, which means upland pasture, and gill- from the Old Norse geil- ravine. Some sources state that the valley derives its name from the local Sledall family although 'sled' is known to derive from the Old English Slaed meaning valley. 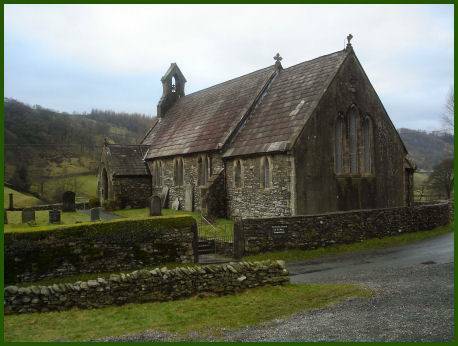 The Parish Church of St. Mary lies around halfway along the valley, on the eastern side of the River Sprint, the church was built in 1863 by Lady Howard and occupies the site of an earlier building. Some of the features of the earlier building have been retained including a beautiful carved oak door which dates from 1662 Inside is kept an old oak chest dating from 1719 and a silver chalice dated 1577. Throughout the whole length of the A6, from London to Carlisle, no fairer scene is presented to travellers on this highway than that briefly glimpsed from the road near Watchgate when journeying north. 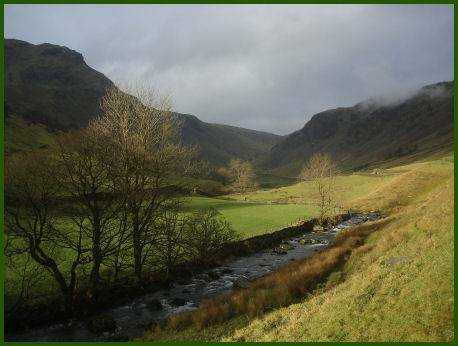 Down on the left and extending far into the hills beyond a middle distance of scattered farmsteads and woodlands is a perfect picture of quiet rural charm - the valley of Longsleddale, a green strath inured amongst shaggy fells. This is a view of classic beauty and is always so no matter how often one sees it." Much of the area between Longsleddale and the Kentmere Valley is a patchwork of heather, making it an ideal habitat for red grouse, which feed only on the new shoots, but prefer to nest in older heather which provides them with good cover. The heather also provides a safe haven for other ground nesting birds such as curlew and merlin. 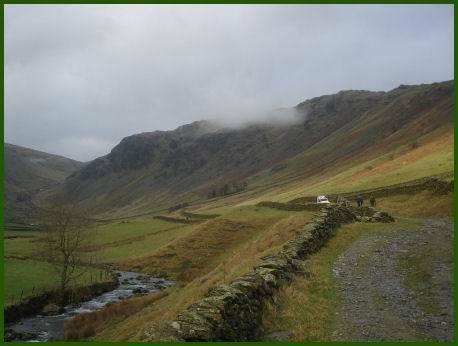 Longsleddale was the inspiration behind the popular children's television series Postman Pat.